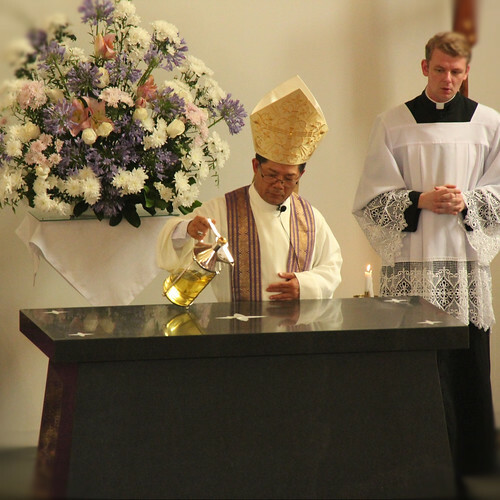 Last year, we began to look at some of the things we do as a liturgical assembly when we gather together to celebrate the Mass. It seems to go without saying that one of the things we would do, perhaps the thing that we do, is pray. Our prayer in the Mass takes on particular forms, words and patterns that have been shaped over centuries. There are times where we are invited to pray collectively, each of us giving our voice to the communal prayer of the Church. There are times when the priest gives voice to our communal praise and thanksgiving; the Eucharistic Prayer being the best example. There are other times when we call to mind our own prayers and intentions. 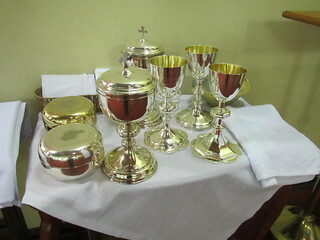 Such times include the collect prayers of the Mass when the priest invites us: “Let us pray”. In the Prayer of the Faithful, after the intention is named by the minister, we take a moment to make own prayer, before we ask God to hear us. 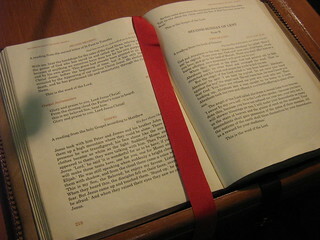 It is these personal prayers that we, the faithful, make that are “The Prayer of the Faithful”. Silence in the Mass is important for those moments of personal prayer and recollection. Silence is also important for us to be open to God’s response to us. Prayer is not a one-way communication from us to God. It is a dialogue between the human and the divine. We are fortunate in our parish to be able to learn from the Carmelite example, where silence and contemplation are so highly valued as a means of allowing us to speak to God, and for God to speak to us. The prayers that we pray during Mass give voice to our needs and concerns, our joys and sorrows, our praise and thanksgiving, our faith and belief. Our words serve part of a dialogue, both between those of us gathered and participating in the celebration, and between us and God who dwells among us and listens to our needs. We speak to petition, to praise, to affirm the prayers and actions of the whole assembly. Our common prayers serve as a sign of our tradition. Our prayers draw upon texts from, and make reference to, sacred Scripture. Many of them have their origins in prayers first composed centuries earlier. Through our prayer, we join with the generations of people who go before us, in heaven and on earth, who are marked with the sign of faith. Our common prayers also serve as a sign of our unity as the people of God. We speak with one voice, united not just with each other gathered together in this church, but in every church building throughout the Church.